It’s time for you to soar! 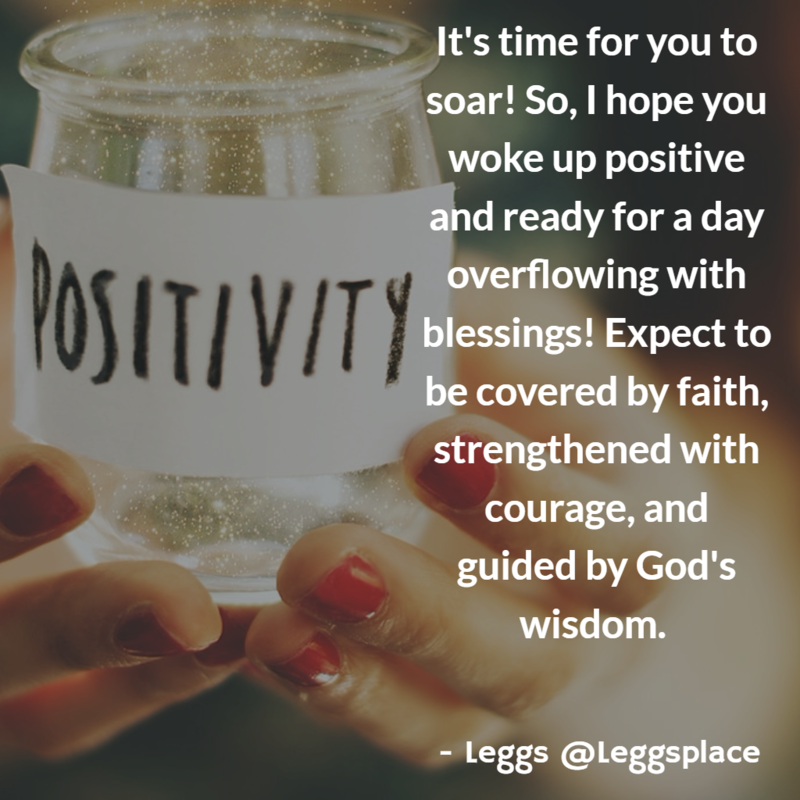 So, I hope you woke up positive and ready for a day overflowing with blessings! Expect to be covered by faith, strengthened with courage, and guided by God’s wisdom.